The introduction of political debates to television indicates a specific way to visualize social space. The genre of television debate stands on the crosssroads of two different rationales: conceptually it aspires to be part of the democratic process and pragmatically it is a television programme. This communication proposes an analytical approach of the discourse adopted by the presenter of political debates on Greek television, whose emblematic figure takes an important place in television representations. Its objective is to reveal a form of expression of the Greek society. Our approach is comprised of theoritical concepts related to television enunciation and its relation with politics. A semiological and rhetorical analysis of the presenters discourse reveals a symbolic conception of the television political debates in which principles of democratic dialogue are enacted. In order to consider political debates within their historical context, a short review of the evolution of Greek television might be useful. Television broadcasting began in 1966, just before the dictatorship of the colonels (1967-1974). The establishment of television under the dictatorship is characteristic of its role as an instrument in the hands of an autocratic and undemocratic regime. After the re-establishment of the parliament in 1974 and until the broadcasting deregulation in the end of the 90s, television remained under severe state control. Nevertheless, the genre of political debate makes its appearance on Greek television screens as political dialogue is a democratic demand after a long period of abolition of the democratic regime. Television deregulation and the creation of private channels from 1989 and on symbolize a new era in media representation of the Greek public space and, more particularly, in the consolidation of television debates. These programs are rapidly developed, occupying a strategic place in the general discourse of channels towards their public. The presenters of Greek political debates are journalists that are, progressively over the years, narrowly linked with their own debate program, becoming a central figure, an image of the program, a key element to its recognition and its immediate identification by the public. In order to understand the extent of this phenomenon, some program titles, containing the first or last name of their presenter are illustrative: “Anna in wonderland” (1991-93, on the public channel ET2, presented by Anna Panayotarea), “Ellispontos” (1995-96 on the private channel Mega, presented by Elli Staï) and “Extremismi” (1997-98, on the public channel NET, former ET2, presented by Olga Tremi). Furthermore, if the above examples refer to women presenters, in some cases, both sexes present the image of their faces in the titles of their program, just before the opening sequence or offer written references to their hair care and clothing providers in the end of the program. The opening of television debates coincides with the direct camera shot (the eyes into eyes shot according to Véron, 1983), produced by a close up on the presenter’s face. The face is a part of the body with an intense expressive capacity, often superior to other parts of our body, which enforces its semiotic function and establishes a meeting and a conversation (Metaxas, 1995). The construction of the television image which places the source of information in the center of our screen, installs an ideal point of view, following the portrait pictorial tradition. When the presenter turns his look towards the camera, he is addressing “this invisible delimited space” (Jost, 1998) inside which he finds his public. Therefore, the spectator enters into the topos (space) of the TV studio through the look of the presenter, who is considered to be the mediator ‘connecting’ two topoi and two or more temporalities (depending on the number of live or recorded connections from the studio). In the case of television debates we can use the term of double entrance or successive entrance in order to define situations in which a person looks at another person, guiding the spectator to address his look and attention towards this other person (Metaxas, 1995). This slip of visual addresses does not only aim at facilitating a topographic comprehension of the studio in order to follow the verbal exchanges. It is characteristic of an ideological frame, in the sense of a manifest guidance of the spectator’s attention. Directing, cameras, close ups, reverse shots are not just technical tools. Through the choices of visual enunciation it is indicated what to see, hear, retain or feel to the spectator. Thus, the interpretation of a television discourse is a result of different and complementary sources. As we already mentioned, the public is invited to enter the space of the studio through the eyes of the presenter who as the ‘connector’ (Véron, 1983) installs the communication with the spectator by addressing his discourse to him and initiating him in the situation inside the studio. Firstly, his discourse may be informative, referring to the subject or the summary of the debate, the identity of the guest(s), or the agenda of the public events. Secondly, his discourse can be considered as a “seductive” one, having the function to appeal to the public so that the latter follows the debate. Television programs, as every intentional discourse, use the rhetorical procedure of the captatio benevolentiae, according to which, before entering in the main subject, it is essential to win the favour of the oratory. This procedure resembles what F. Jost calls the announcement of a tone promise, pronounced at the beginning of a program and related mainly to his presenter who includes in his speech at least three complementary and polyphonic discourses: that of his person (personality and status), that of the genre of the program and that of the channel. Therefore, if, on the visual level, the enunciation procedure remains relatively identical for all political debates (close-ups on the presenter, the eyes into eyes shot and, even the dress codes(i)), we mustn’t forget that images aren’t broadcast in silence, but they are always accompanied by an oral discourse, following rhetorical rules and models. (Mouchon, 1998). It is the verbal enunciation that creates the difference in the discourse of the presenters, distinguishing the tone of each one of them. “The use of speech in order to establish a relation with the spectator is, among professionals, a method specific to the presenter, different from that of the director or the editor who remain silent” (Soulez, 1998, 233). For the purposes of this presentation we will focus on two main types of discourse (illustrated by the example of two Greek presenters), among various other features, in order to understand the source and the nature of the symbolic power detained by their person. The presenters on Greek television are journalists considered like mediators, but also like actors, expressing an autonomous logos. In that context, they aspire to a double power, one coming from the media and a political one. The program taken as an example of a discourse presenting features intensively marked by institutional and political arguments, is called Final Line (Teliki Eytheia in Greek), and presented on public television channels during 1995 and 1999, by the journalist Petros Eythimiou. In this case that we are about to study, the presenter adopts a discourse that traditionally reflects an institutional point of view. This attitude is encouraged by the fact that the context of enunciation is offered by a public channel. “Friends spectators, good evening. It is Monday, January 5, it is our first broadcast of the year, a broadcast that, I hope, will be useful, effective and interesting for the country, because of the issues it treats, essentially those referring to the evolution of our country inside the European Union. [Culture] is an issue that many friends – I will not hide it from you – advised me not to treat: “Petro Eythimiou, don’t try this topic because no one is really interested in this country in culture“. I believe it is very unfair for the country, for Greece, for our society, to think that culture doesn’t interest people. In particular in a country called Greece, a country that, following the Prime-Minister’s New Year speech, is a country of creation, equal to the other European countries. Anyhow, many people advised me not to do this subject, but I deeply think that it concerns all of us and I think that, today, I have near me the most adequate interlocutors”. This rather long introduction is rich in key informative elements and many connotations. From the beginning, the presenter emphasizes the importance and the efficiency of his program, without presenting, before that element, the subject nor the guests. The program is immediately given a civic and political mission, adopting the institutional approach of civic issues. The presenter hopes that his debate will be useful, efficient and interesting for the ‘country’. Therefore, the public is implicitly designated in his civic nature and not only as a spectator or a product consumer. The fact that NET is a public channel enforces the discourse position held by the presenter. Furthermore, the reminding of the editing line of the program -debates on European issues- is not without resonance if we keep in mind the political evolution of Petros Eythimiou who became a European deputy of the socialist governmental party, the PASOK, in June 1999, before being nominated Minister of Education, after the national elections in April 2000. This phenomenon of journalists entering into politics is quite frequent inside Greek society. Television offers a privileged tribune for several ambitious actors. However, we must keep in mind the historical development of this social phenomenon, which has its origins before television. In addition to that, we note that this social practice exists beyond Greek frontiers. In that context, the concentration on his person, via the demarcation from the others (who suggested him not to dedicate a debate to culture), testifies of a will to distinguish himself and to be positioned as an actor in the political process. This attitude goes beyond a confirmation of a professional authority and reaches the affirmation of a ‘personal excellency’. The above becomes clear if we observe carefully the content of his introduction, as well as expressions such as “I firmly believe”, often accompanying discourse of political actors. The excessive repeat of the word “country”(ii) (seven times) is coherent with the logic of personal implication in the political process. The reference to the Prime Minister’s speech accentuates the journalist’s identification with institutional structures detaining power (also, the guest of the broadcast we refer to is the Minister of Culture, E. Venizelos). “Well. Friends spectators, I think that all interlocutors were sincere, precise, they have given, each one in his own way, a complete image of the problem we’re dealing with and, I think, all guests have presented in a complete way, the possibilities of solutions, not as persons who replace law by their actions, but as a society capable to deal in a creative way with challenges, to isolate threats and survive through difference, through respect for the other. Furthermore, we deserve it, as a country that, I’ve remind it here, has exported many emigrants, and we all know what exile due to poverty means and how it feels to be treated as an inferior human being. It becomes quite evident that the discourse of Petros Eythimiou transcends the limits of a long conclusion, repetitive or didactical and enters the domain of political discourse. The mode of this conclusion as well, resembles to the enunciative rules of allocution. The expression “the schoolmasters television” (Mehl, 1992) seems to be quite appropriate in order to define the conception of a presenter’s role that P. Eythimiou (among many other Greek TV journalists) has. A number of visual and verbal elements, such as the direct “eyes into eyes” address to the spectators, the content of its speech, the strong affirmation of his will (“I would like to hope”) and his point of view, slip progressively, yet firmly, in the universe of political actors. As Eric Darras would say to qualify those journalists engaged in French television of the 70s, “the journalist is representing a political opinion; not that of the ‘public opinion'” (Darras, 1997, 17). In the same frame of reflection, J.-P. Esquenazi notices the same political and professional problem: “How journalists, who have a duty of objectiveness, but yet belong to an institution depending on a power clearly engaged in the political field, can fulfill their mission?” (Esquenazi, 1999, 76). This question that concerns the 1966 French program of political dialogue Face to Face (Face à face), is still of an amazing actuality regarding contemporary Greek public television. Thirty two years after our French example of Face to Face and after twenty eight years of democratic government in Greece, the debate program Final Line, through the choices of its presenter P. Eythimiou, gives a categorically negative answer to the question formulated by J.-P. Esquenazi. In spite of the fact that this program represents an extreme case of political engagement of a TV journalist, the issue of professional ethics remains, however, pertinent and open, at least as far as public broadcasting in Greece is concerned. Consequently, we cannot ignore that behind the figure of the presenter, there are real persons with their personal history, with precise activities and a specific social presence. Therefore, the presenter cannot, in any case, be considered as a ventriloquist, limited in regulating the time of the debate or assuring verbal transitions inside the TV studio. We can assert that the discourse of the presenter is guided by a philosophy of action, opposed to a fatalist attitude. In this context of acting politically, presenting a TV broadcasting of this kind is a political act. Thus, the act to watch is imperceptibly elevated to a superior range of taking responsibility and testifies of a high civic consciousness; for P. Eythimiou this is a way of expressing political action and conscience. The implicit reference to Aristote’s όν πολιτικόν, regarding human beings, living and acting in society becomes evident. On a second level of analysis, we can discern a profound attachment to some basic and universal values, such as liberty (repeated four times), creativity and critical mind. The use of rhetorical proceedings like the particularly direct address to the spectator, using the second person singular [in Greek language there is a difference between the second person singular ‘εσύ’ (esy) and the second person plural ‘εσείς’ (eseis)], as well as pointing his forefinger facing the camera and using possessive adjectives (“your own force, your own judgement”), enforces the role of political actor that the presenter attributes to himself. Finally, the projection of his own hopes and wishes as collective ones is a constitutive element of a rhetoric serving the presenter’s identification with the desires of his public. However, by this prescriptive attitude, his figure approaches de facto, that of an ‘opinion leader’, more than that of a ‘common citizen’ among others. This is a well known communication method used by political actors, trying to create the impression that they express and represent the voice of the public. In addition to that, the Manichaeism tendencies and the apocalyptic connotations of his argument converge towards an attitude very similar to that of political leaders. “Ladies and gentlemen, there are extremely difficult times for doing television. I have to admit that this particular one is one of the most sad, if not the saddest, of my career as a journalist, at least until now and I would hope not to live yet again another in the future. The opening of this debate, dating from November 29, 1995 is one of the most representatives regarding the introduction of dramatic elements to TV debates. Circumstances may be exceptional due to the state of health of the Prime Minister(iv), they elucidate, however, in a more efficient way, by magnifying them, the recurrent dramatizing mechanisms, used by Yannis Pretenderis in the first place, but also noticed in the discourse of other presenters as well. The presenter’s attitude wavers between two considerations. The first one is to remind the spectator implicitly of his attachment to the principles of journalistic profession. The second one reflects the frustration of many TV journalists that are constrained to combine both information and spectacle. 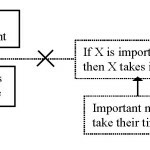 In the above example, the key dramatic element is introduced by the projection of the presenter’s personal situation. In fact, the first information the TV spectator receives doesn’t concern the political situation (this will follow), but, on the contrary, a repercussion of this situation on its mediation. We use the term of expressive dramatization (Jakobson, 1963) referring to the focusing on the enunciator of the message, his emotive dimension, his thoughts and sentiments, in other words, referring to the subjective part of the enunciation rather to the referential context. Nevertheless, the idea of a complete and exhaustive analysis of the factual reality, as part of a journalist’s mission, appears next (“in an effort to elucidate all aspects of this problem…”), in order to remind and legitimate the reason of the program’s broadcast. “Greece is mourning Andreas Papandreou. And when we say ‘Greece is mourning’, we mean all Greece, all his political friends and adversaries. This special Hour of Truth is one of those that a journalist doesn’t want to do many times in his career. However, I think that in these critical moments when a great political leader leaves the scene, it is time to deposit impassively on the table, not comments or opinions regarding who he was, but, mainly, to track down the elements of the new era that is starting for Greece. The tone in the presenter’s speech, as a recurrent functional instrument, produces a serious, grave and respectful discourse, suggesting the attitude that public must develop towards the event. The slip into an emotive register is produced even more quickly by the presenter’s assertions, regarding journalists’ professional aspirations which transpose, once again, the debate’s topic. We can note, by the way, that contrary to the presenter’s opinion, the culminating moments in a journalist’s career depend, precisely, on exceptional events, however catastrophic or sad they may be. Yannis Pretenderis’ discourse is credible and convincing because of the subtle mix of his professional status and of his human dimension, thus affective. This deft combination of professionalism despite his personal ‘suffering’ makes the emotional implication more tolerable. Thus, the dramatization turns out to be acceptable because it responds to the truth and the authenticity of reality. This extract shows the existence of internal broadcasting rules (respect of dialogue norms within the program), as well as rules concerning the channel’s general programming strategy. The extreme personification, of the presenter’s figure can be understood if we keep in mind that individuals carry in them signs which can be interpreted at various levels (Peirce, 1978 and Deledalle, in Peirce 1978). Comprehension being elaborated by appropriation of elements which are close to our knowledge and beliefs, it is not surprising that we identify and recognize easier another’s face (πρόσωπο) than an abstraction. For what matters particularly to our study, it appeared that the discourse of the presenter of political debates must be coherent with the editorial line of the TV channel. The presenter is thus submitted to another source of influence. This may be the commercial interests of the television channel or political power (dissimulated behind public broadcasting). In both cases, it is not a completely obligatory submission, because the subject involved is adhering to this universe. So, in spite of his auto-celebration as the main figure of the program, the presenter acts within a social context that he influences, without having the power to determine it exclusively. If we divide the TV channels into two great categories, one of public broadcasting and the other of private television (this last category can be also subdivided into general content channels, on one hand, and into smaller thematic channels, cable, etc., on the other hand) it appears that the attitude of the presenter can take two forms. “I have the opinion that our society is more or less monopolized by television and by what we call a “star system” existing in Greece, created by television (…) Television monopolizes us and, maybe, television exhausts us” (program dedicated to the television star system on February 18, 1998). The repetition of the word ‘television’ five times in this short extract, as well as the presenter’s thoughts on the subject, if they aren’t an accurate analysis of the reality inside Greek society, do, though, communicate his own preoccupations. We are dealing with a specific conception of the way things are, coming from a person acting inside the media universe (moreover, Y. Pretenderis is a journalist and, at that time, responsible for the information program of the Antenna channel), projecting his own experience into another one, which is supposed to be collective. The explicit adoption of the channels promotional discourse represents the next step of adhesion to a generalized marketing logic. The second category of attitudes adopted by presenters is characterized by the adhesion to a more or less latent state institutional logic. The key word here is ‘mission’. The presenter considers that he has a mission to fulfill. The emblematic figure of this type of presenter is Petros Eythimiou, even if we must keep in mind the excessive features of his personage due to his public evolution. Even if his program is broadcast on public television, he has exercised on various occasions, a journalism of opinion and critical behavior towards public problems, keeping his distances from the governmental power (in particular in his broadcasts during 1995). By this remark, we don’t want to suggest the volte-face of the presenter’s discourse that finally reaches the limits of free expression on public channels. On the contrary, this evolution is linked to a certain understanding that the power of the presenter is not real, effective, unless it is detached from the strict media sphere; in other words, when presenters go beyond their role of journalist or media actors. Focusing on the symbolic image of the presenter is the consequence of the need to re-produce emblematic figures inside Greek society. A number of verbal and visual dispositions inside these programs demonstrates the intention to produce a hierarchy of television enunciation copied on political models. The research of symbols and emblematic figures in television representations responds to a psychological and functional need of the Greek society to create figures of political leaders associated with patriarchal or authority figures (Axelos, 1995; Demertzis, 1990; Vovou, 2000). Therefore, we don’t find television discourse rules only in the contents of discourses but in their presuppositions (Esquenazi, 1997, 113). This remark demonstrates the existence of rhetorical forms through which the media actor’s discourse slips into political discourse. Nevertheless, the power of the presenter remains virtual, enclosed in the holistic space of a TV studio and exists for as long as we accept to watch television, even if the programs are accredited with a relatively high audience(vi). The power of the presenter/journalist doesn’t become effective, unless it stops being originated only from the media and starts being involved in the political space. For this passage from one domain to the other, the normative reproduction of political logos is insufficient. It becomes possible by the modification of the social status of the subject of enunciation. There lies the difference between the importance of two presenters who represent two extreme cases, between which there are many existing behaviors. The supremacy of political criteria on media criteria regarding detention of power is equally confirmed by discovering the same into the different: in fact, both P. Eythimiou and Y. Pretenderis are journalists, before and during their programs, in the newspaper ‘To Vima’ (‘The Tribune’), belonging to the group Lambrakis, that possesses many newspapers and journals and whose affinities with the Greek socialist party are known. Thinking that television, in interaction with the press, did more than simply testify or reflect political and social reality is not absurd (Esquenazi, 1999, 360). Our hypothesis, however, is to consider as more influential the political sphere upon the expression, decisions and general behavior of the media. In this context, the democratic process shouldn’t be comprehended only on TV screens, as television is less omnipotent than we may think, because it exists and acts within precise historical and social frames, even if it follows economic and marketing strategies. In conclusion, and in order to understand the conditions and rules of television actors’ discourse, we must proceed to an analysis of both internal and external television features. i. In general, for men presenters, dress choice is limited to ‘suit-necktie’ and for women rather conservative clothes. In both cases, they aim to look serious and to inspire confidence. For Metaxas, habits can be body masks and, furthermore, masks of resemblance, in the context of a modus vivendi, a convention regulating the level of conformity demanded (Metaxas, 1995: 243). ii. Two different Greek words are used by the presenter in order to express the notion of “country”: ‘χώρα’ (repeated five times) closer to the meaning of the word ‘State’ and ‘τόπος’ (repeated two times), closer to a sentimental attachment with the geographic territory. iii. Prime Minister at the time and founder of the socialist party PASOK (Panhellenic Socialist Movement). iv. The Hellenic parliamentary regime provides the most important power to the government of the country and the Prime Minister. Therefore, the long hospitalization of A. Papandreou and the worrying state of his health were a real problem concerning the government of the country. v. This approach is defined as the ‘journalism of examination’ (Brusini and James, 1982) or ‘rhétorique de l’aval’ (Ruellan, 1993). vi. In fact, The Hour of Truth has a much larger audience than Final Line, (4,025% and 0,925% respectively on average for the 1995-1998 period). Source: AGB Hellas. Axelos Christos. (1995). Elements of Criticism of the Neo-Hellenic ideology (Στοιχεία Κριτικής της Νεοελληνικής Ιδεολογίας). Athens: Ellinika Grammata. Brusini Hervé, James Francis. (1982). Voir la vérité. PUF. Darras Eric. (1997). ‘Les bienséances de l’échange politique. Naissance d’une tribune politique télévisuelle’. In: Télévision et Politique, Politix n°37.L’Harmattan. Demertzis Nikos. (1990). ‘Greek Political Culture in the 1980s’ (‘Η ελληνική πολιτική κουλτούρα στη δεκαετία του ’80’). In: Elections and Political Parties in the 1980s (Εκλογές και κόμματα στη δεκαετία του ’80), (ed. Ch. Lyrintzis and I. Nikolakopoulos). Themelio. Esquenazi Jean-Pierre. (1997). ‘Le temps télévisuel et le statut de l’information’. In: La communication de l’information, (dir. J.-P. Esquenazi). Champs Visuels: L’Harmattan. Esquenazi Jean-Pierre. (1999). Télévision et Démocratie. PUF. Jakobson Roman. (1963) Essais de linguistique générale. Seuil: Points. Jost François (1998). Le temps d’un regard. Méridiens Kliencksieck. Jost François. (1999) Introduction à l’analyse de la télévision. Ellipses. Mehl Dominique. (1992). La fenêtre et le miroir. Payot. Metaxas A.-I.D. (1995). Introduction to political discourse (Προεισαγωγικά για τον πολιτικό λόγο). A. Sakkoula. Mouchon Jean(1998). La politique sous l’influence des médias. L’Harmattan. Peirce S. Charles. (1978) Ecrits sur le signe. Paris: Seuil. Ruellan Denis. (1993). Le professionnalisme du flou. Identité et savoir faire des journalistes français. PUG. Schott-Bourget Véronique. (1994). Approches de la linguistique. Paris: Nathan/Université. Soulez Guillaume. (1998) ‘Ils sont là, je ne les vois pas, je leur parle. La présentation est-elle une nouvelle médiation ?’. In: Médiations sociales, Systèmes d’Information et Réseaux de Communication, Onzième Congrès National des Sciences de l’Information et de la Communication. Veron Eliséo. (1983). “Il est là, je le vois, il me parle”. In: Communicaions n°38. Le Seuil. Vovou Ioanna. (2000). La démocratie à l’ère de la télévision. Les débats politiques à la télévision hellénique (1990-1998). PhD Thesis. Université Paris III-Sorbonne Nouvelle.